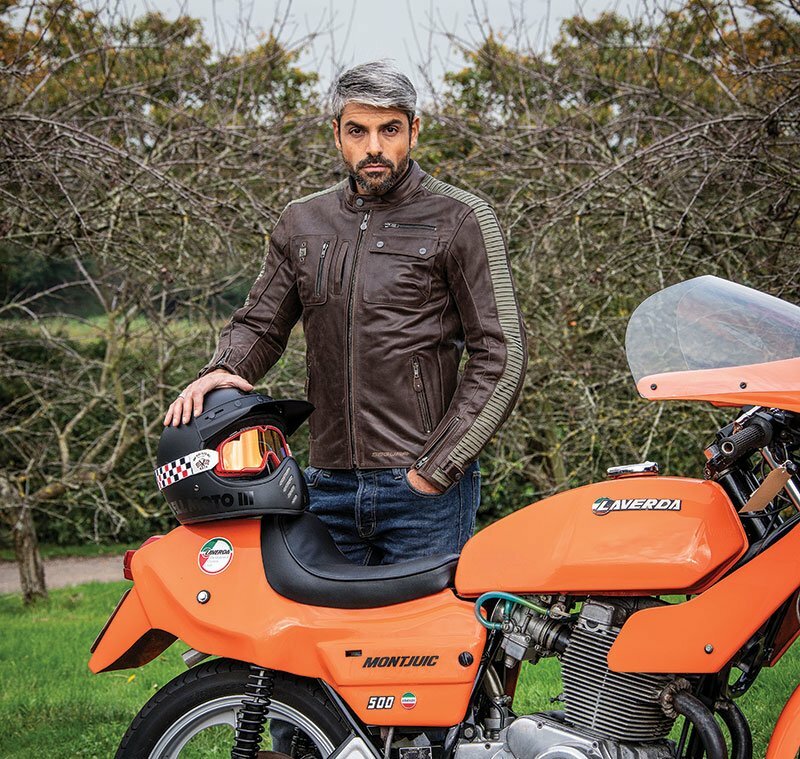 Segura is a longstanding, and quite upmarket, French maker of leather jackets. We saw their latest collection a month or so ago, and have decided to add the brand to our portfolio. Style-wise, Segura is on the button. They have a keen eye for what's being worn on the street; they often then take this as their cue for garments that can be worn on the bike. Some of their stuff is quite out there; some of it is quite simply lovely. I particularly like their Jayzer jacket that, apparently, is inspired by a jacket worn by Han Solo in Star Wars. I'm afraid that went right over my head when I saw it. I just thought it would go really well with the 'California Sage' green paintwork of my bike. Frankly, I’m embarrassed about being such a tart! But to see the full range, click below. 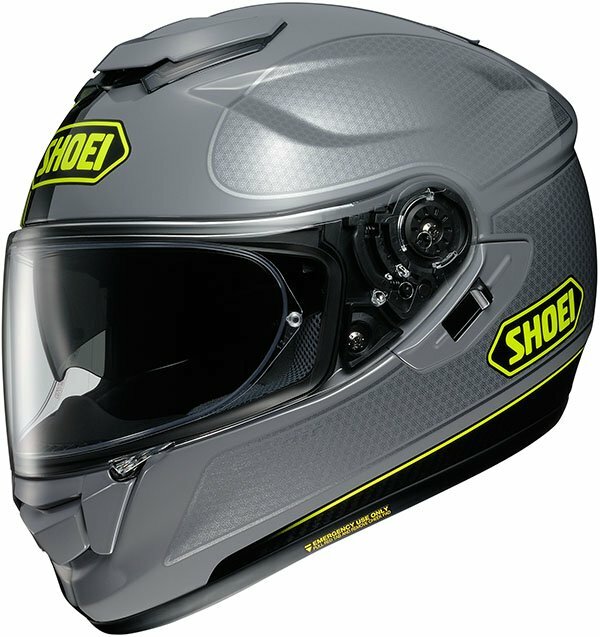 The Shoei GT Air is not a helmet that we know particularly well. A lot of our customers wear GT Airs, but it’s a helmet we’ve never sold. It’s basically an all-singing and all-dancing sports-touring helmet. We’re sure that there’s nothing wrong with it, but at the Intermot trade show in Germany a few weeks ago we saw the brand new 2019 version, and we liked it a lot. With its totally new interior, it’s probably one of the most comfortable, full-face helmets we’ve ever worn. And, of course, with changeable cheek pads and head liners, we reckon we can make the fit just about perfect for anybody. 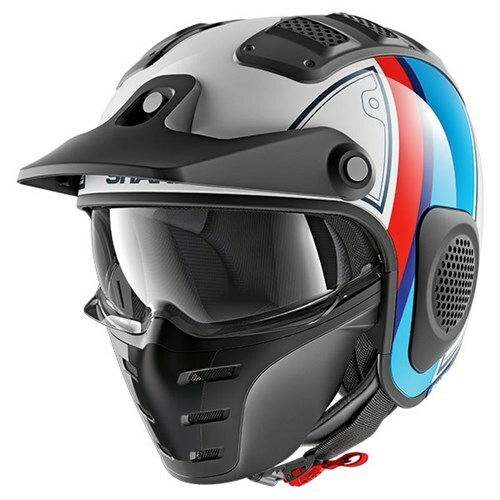 The helmet features a brand new, adjustable, drop-down sun visor, but one of the biggest upgrades is that it will take a Sena comms. system integrated into the helmet in the same way as it is in a Neotec 2. 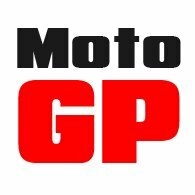 Frankly, the new GT Air 2 is a full-face Neotec. It should be with us very early in 2019, and so we thought you should know that if you bought one now you’d probably end up kicking yourself for not waiting. There’s no doubt about it; the new helmet is a significant upgrade. It’s going to be a heck of a lid. We only discovered these waterproofs in the middle of last year. They’re made from a laminated Polyamide, so they’re very waterproof and very breathable, but what we particularly liked about them was how stretchy and tough they were and are. You wear both the jacket and pants really tight. They move with you and they don’t flap. They’re the best waterproofs we’ve ever offered, but then back in March Scott told us they had sold out, and that we couldn’t get any more until October. We were gutted, and we missed them greatly. 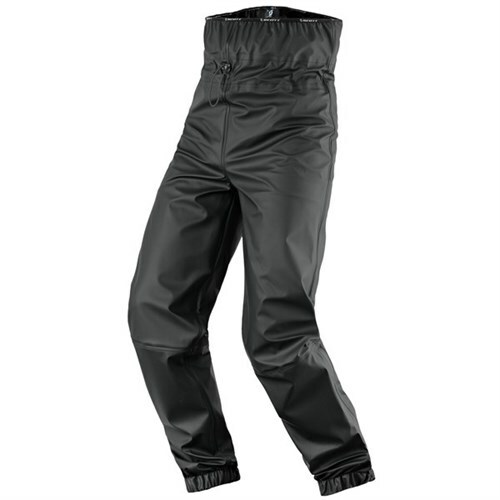 Frankly, we couldn’t get very excited by any of the other waterproofs out there. But the good news is that now they’re back. We have tops and trousers. Black and yellow. 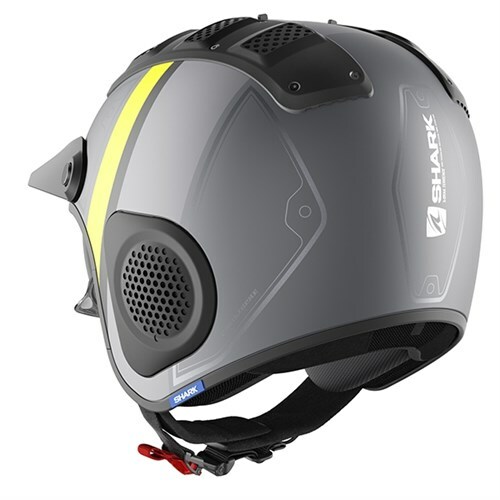 Shark’s new, drop-down visor, open-face helmet, complete with removable face mask, is very much aimed at the riders of classic, off-road style enduro and street scrambler bikes. It’s got a terrific, retro look. The peak is removable, and there are two, huge full-length vents that run from the back to the front of the shell. Shark is very proud of the fit on the X-Drak, which it claims to be better than other open-face helmets. We just think it looks cool. 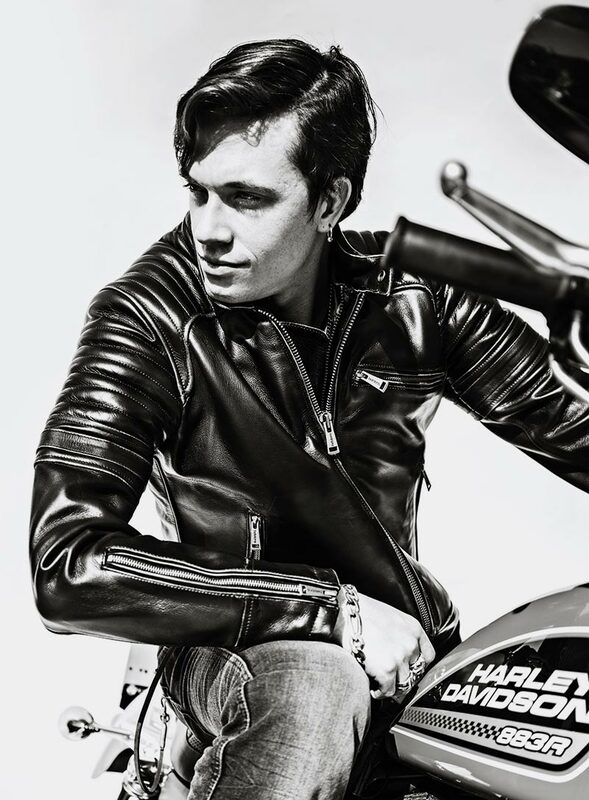 When we think high-end, high-tech motorcycle wear, Bering is not usually the first name that comes to mind. But this is a company set on transforming perceptions. And if their future products are anything like the two suits we've just received, they're going to succeed. The Yukon is an incredibly comfortable, two-layer, Gore-Tex laminated suit. It's got everything you'll ever need. It costs a few quid over a grand, which is not cheap. But remember, this is a Gore-Tex laminate. And it comes with a Rukka-style, five year warranty. Makes the price seem horribly reasonable. Their second suit, the Balistik, is even more reasonable. It's a three layer laminate and, in design terms, it's very similar to the Yukon. But the suit comes in at under £600, and it has a three-year warranty. Again, amazing. Come and see us and see for yourself. Bering looks as though it’s going to be the company that takes laminate mainstream! 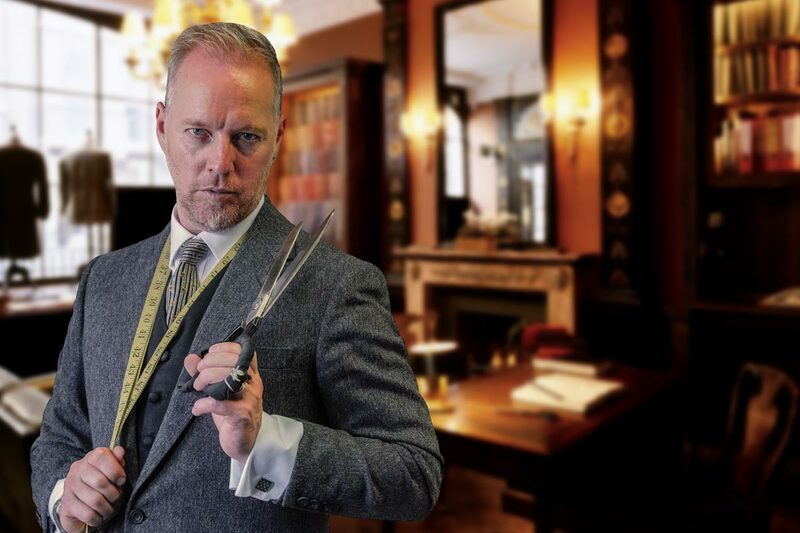 Brian Sansom is the founder of BKS Bespoke. Brian makes the world’s best one-piece race suits, as well as two-piece outfits for many Police forces. But he has now created what can only be considered the ultimate café racer jacket. You can find all the details on our website, but basically Brian visits us about once a month in Guildford to measure up customers. 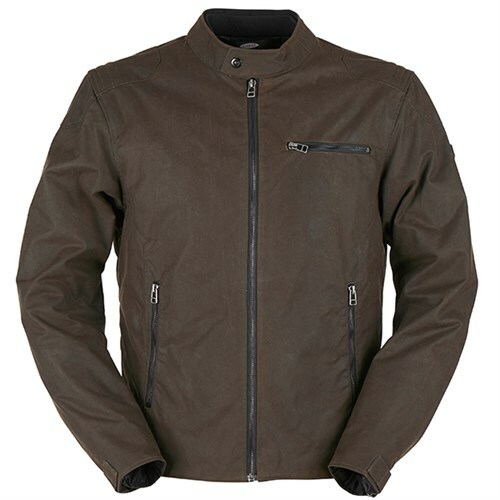 The jacket can be made in a whole array of different leathers, and the permutations in terms of trim, detailing, pockets, zips, linings and so on are almost endless. His jackets are not cheap, but they are unique. You’ll end up with a jacket to your individual requirements that fits you exactly, and not just the average guy with a chest measurement similar to yours. At present we’re booking appointments for Saturday December 1st. Despite Brexit, French company Furygan has entered the wax cotton market with its first jackets in the ‘style anglais’. 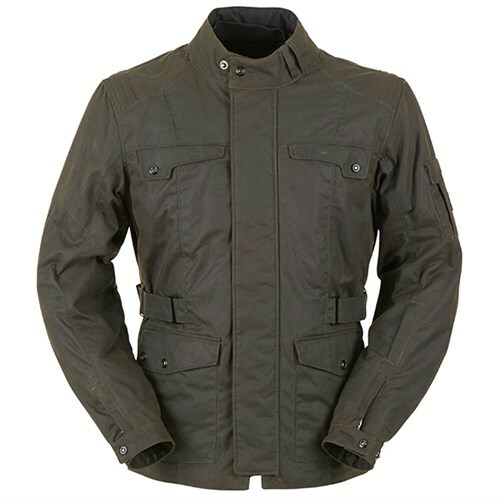 There’s a mid-length, four-pocket jacket with side adjusters rather like Belstaff’s Crosby jacket, and a blouson jacket. 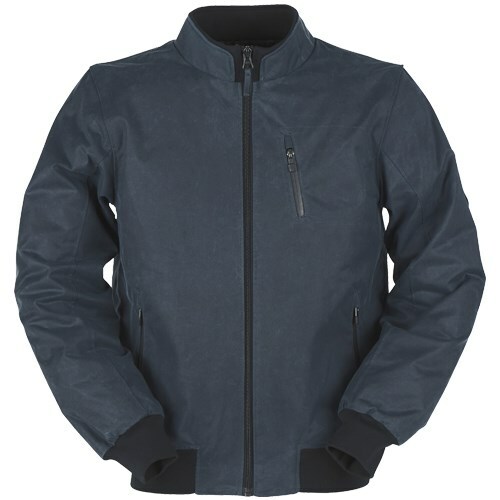 But our favourite is a bomber-style jacket in a terrific grey/blue wax cotton that is exclusive to Motolegends. All the jackets come armoured, and with both thermal and waterproof liners. The prices are more than reasonable on all three; all coming in at below £250. We love the Rukka Nivala. In our view, it's in a different league to any other suit in the Rukka range, and well worth the extra few quid it costs. 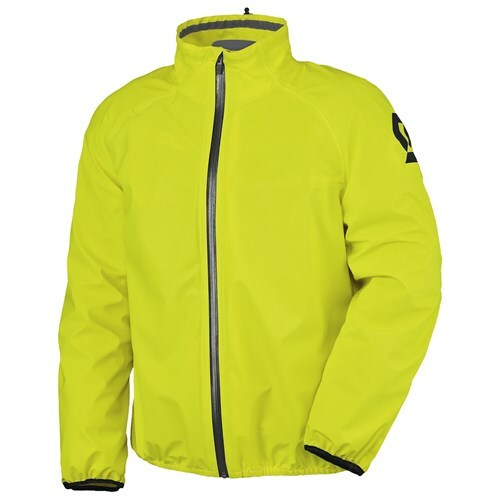 With stretch fibres in the Pro-Shell outer, it's the most comfortable Rukka jacket ever made. It's also the best vented. And, thanks to a separately worn, duck-down inner jacket and pants, it's the warmest ever Rukka too. But you've got to be properly fitted for the Nivala. You normally go at least one size down on the jacket and, at this money, you need to check out which of the three leg lengths is right for you. Anyway, if you've been thinking about a Nivala, you should act swiftly because the price goes up by almost £100 on November 1st. The prices for the duck-down inners, which you can buy separately, are also going up in price on the same day. We've had a couple of new pieces in from Paris this week. Our friends at Helstons have delivered a very fifties/sixties-looking leather jacket called the Yukon. It's got a great patina; the result of Helstons' magical blend of waxes and oils. 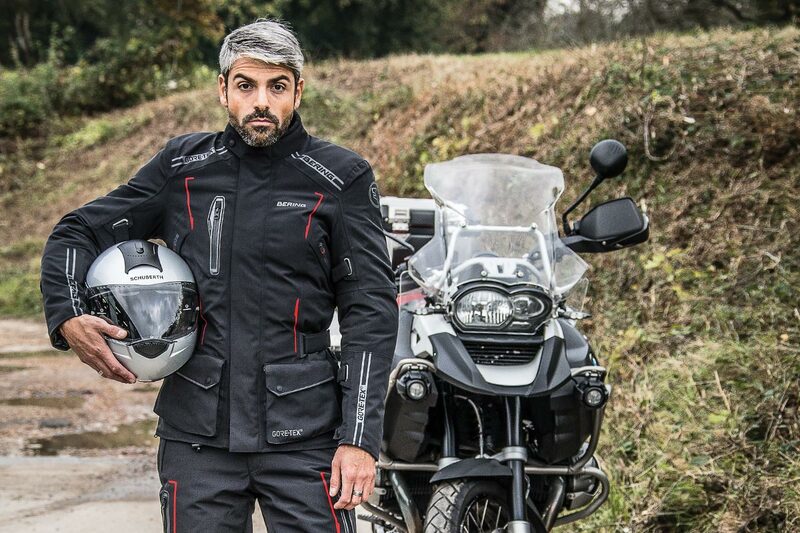 As ever with these guys, you get a removable, thermal jacket, a waterproof membrane and full amour, including a back protector. It looks the business. For more details, click below. Are you thinking about commuting into work? 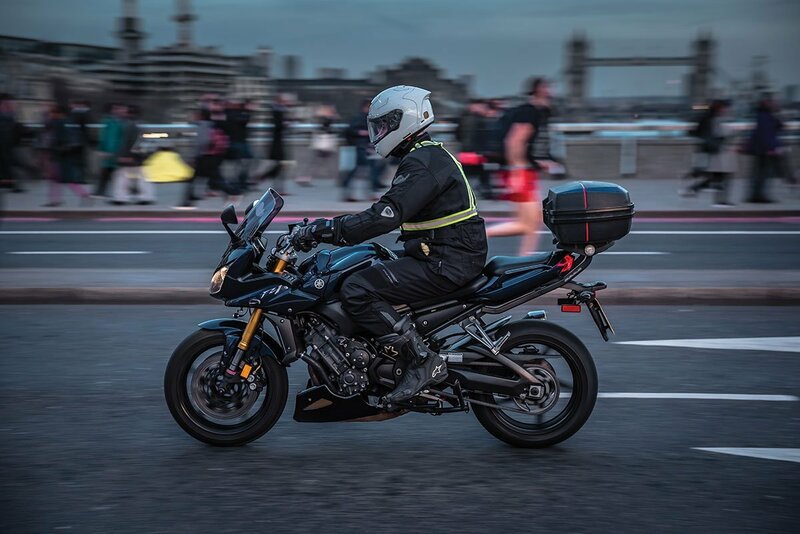 In our latest catalogue, we've written an interesting piece about the pros and cons of commuting into work on a motorcycle. For many, the cost of driving a car is becoming prohibitive. Whilst a train works for some, the lack of reliability and the inability to get a seat rule it out for others. We talk about the kind of gear you'll need for a short commute, which is quite basic. More importantly, we've gone into greater depth on what you'll need if you're going to be in the saddle every day for, say, an hour’s commute. Whether you’re currently commuting or not, we think you might be want to read what we have to say. 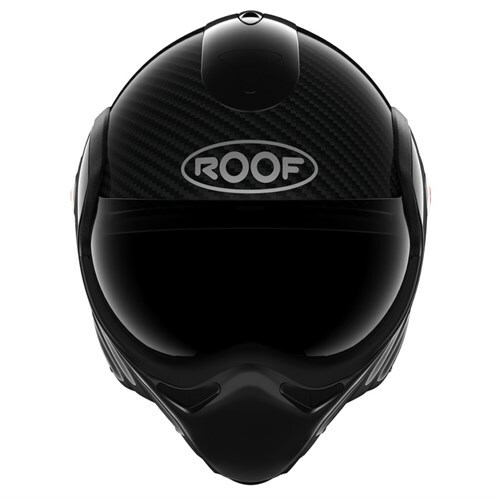 Earlier this year, Roof launched its best ever Boxer called the Boxxer Carbon; it was lighter and better vented than any Roof modular that had gone before. But most importantly, it came with a much improved visor mechanism. In truth, the previous one never worked particularly well. It was a bit of a hit-and-miss affair. It was unreliable and fiddly. The system on the Boxxer Carbon, by contrast, is brilliant. It just works. 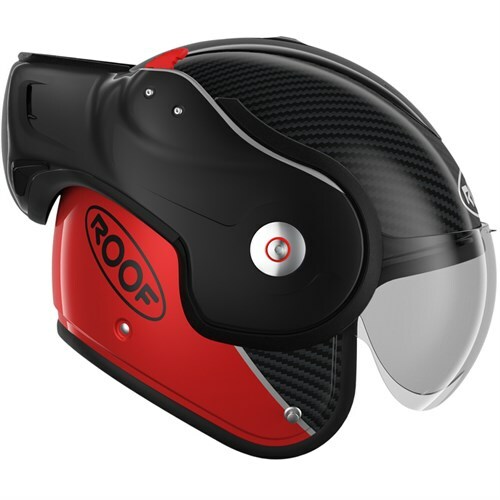 The Roof is still not a helmet we would choose for long distance touring or commuting, but it is a masterpiece of design that looks funky, and gives the rider a helmet that can legally be worn open or closed. 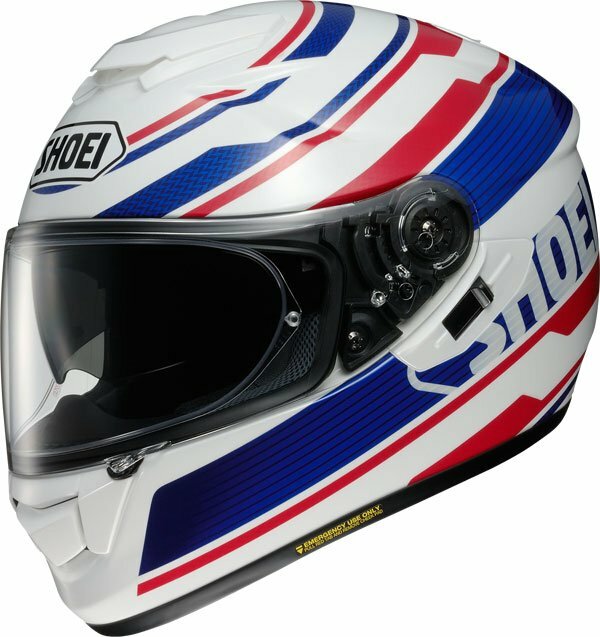 There are other colourways, but the red helmet shown here has just arrived with us. We really love Helstons' beautiful leather jackets. They do vintage/retro in a far nicer, more credible way than anybody. But we also love their boots. The latest release from them is the Mountain. 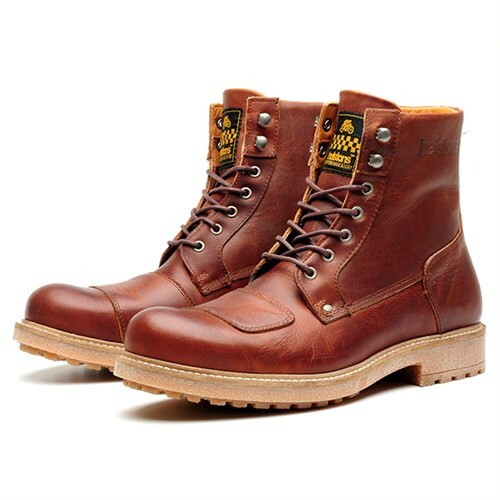 It's a slightly beat-up looking leather, ankle boot made from calfskin. You get all the stuff you'd expect; a gear change selector, ankle protectors, a stiffened sole and so on. 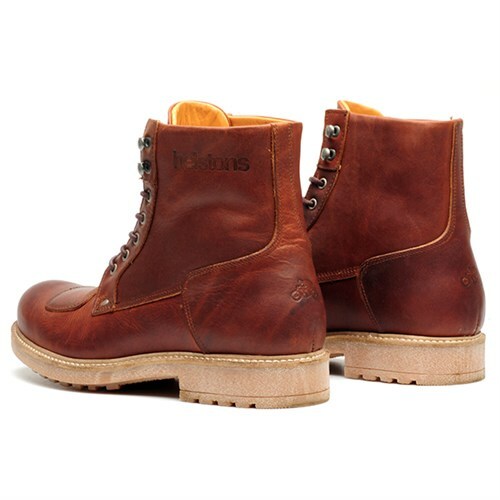 But you also get both a waterproof membrane and a waterproof treatment to the leather. It's lightweight, cool looking, and comfortable enough to wear all day, every day. Our Price Beat Guarantee is pretty darned amazing. It might, to some, appear too good to be true. But we approve hundreds of 'Price Beats' every week, so there's no doubting that it works. In essence, if anybody is discounting the price of any product we sell, we'll beat that discount by a full 10%. Lets say our price is £300. You find somebody selling it for £250. We'll beat that price by 10%, meaning that you will pay just £225. It's really simple to make it happen. Just read the terms and conditions on the website. And, of course, the Price Beat is still effective against any Halloween, Black Friday, and NEC offers. The bottom line is that however good somebody else’s price is, ours is better. We'll also Price Match companies in the EC. Given the hassles of dealing with an overseas company, and the costs of returning gear for warranty claims, it'd be daft not to buy from this us if the price is the same. And our price will be.